Another review of Feis Ile whiskies, this time from Ardbeg. Tasting quite a few of the Special releases the other day at a tasting I hosted, reminded me I have yet to review this year’s release. Fortunately enough I was able to source some of the Committee release edition which is a bit higher in ABV than the widely available edition that was sold online and at Ardbeg embassies. 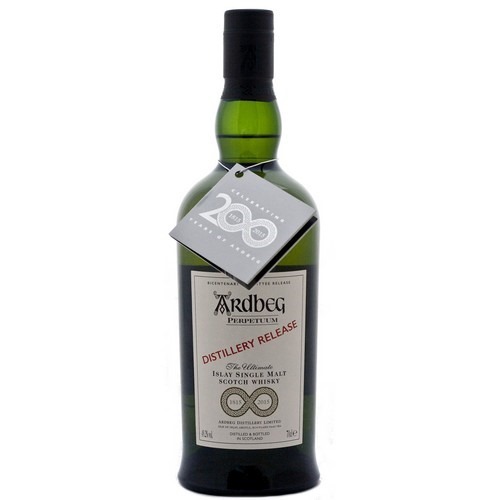 This expression is a commemorative bottling to celebrate Ardbeg’s 200 year anniversary. This is another NAS, which is said to include both old casks and young casks (I fear many more young casks are present), and is bottled at 49.2% , while the ‘regular’ version is bottled at a lower abv of 47.4%. Previous SRs were quite solid, with some very good bottling, I did hear mixed opinions about this year’s edition, which calls for my ‘objective’ opinion , right? Nose: There’s youthfulness in this whisky for sure. A certain Peary note and then we’re off to Islay for sure. Ash, soot and earthiness. Caramelized sugar. Vanilla and lemon. Black pepper and quite some alcohol bite. The odd cigar leaf too. Quite fresh and light for an Ardbeg. Palate: starts smoky with ash and a bitter sooty backbone hiding the young notes of pear and apple peel. Chocolate , vanilla and double espresso. There’s also fresh ground peppers , chilly and ginger as well as leather and quite a lot of peat. Finish: salty. Bitter espresso and crushed coffee beans. Smoke. Soot. This is Certainly not the best of the Special Releases, I would say one of the weakest in recent years. It’s tasty, and quite easy to quaff, but I did expect something else for a 200th Anniversary. It is clear most of the casks that went into this vatting were quite young, with all the pear and apple notes, sweet fruity, and peaty notes. It’s not a BAD dram, but when you think about the price (even the original price , not to speak about the current secondary market price which is pretty much insane), It is really hard to recommend buying it.I guess most bottles are going to end up sitting on collector’s shelves unopened, so basically it does not matter how good / old / young it is. Unless you’re an Ardbeg Fanatic who MUST have every expression, This one is offers a very low Value for Money.